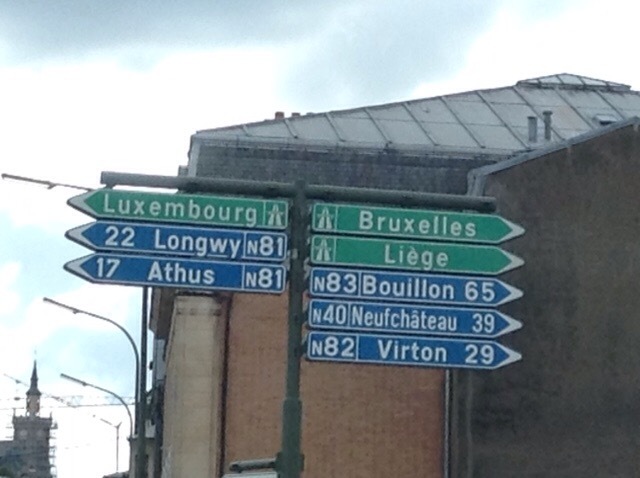 From our brief 2 night stop in Bouillon Belgium, we drove on into Luxembourg. 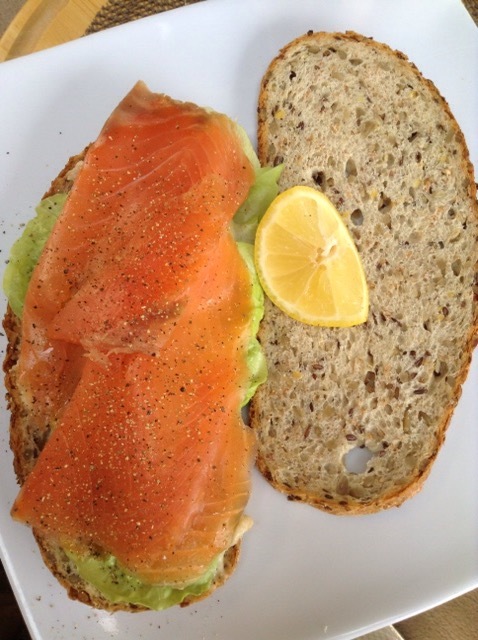 We passed through the city centre, and on back into the countryside, stopping for an on board smoked trout and horseradish sandwich on tasty mixed seed and grain bread followed by more delicious Italian ice-cream from Lidl. 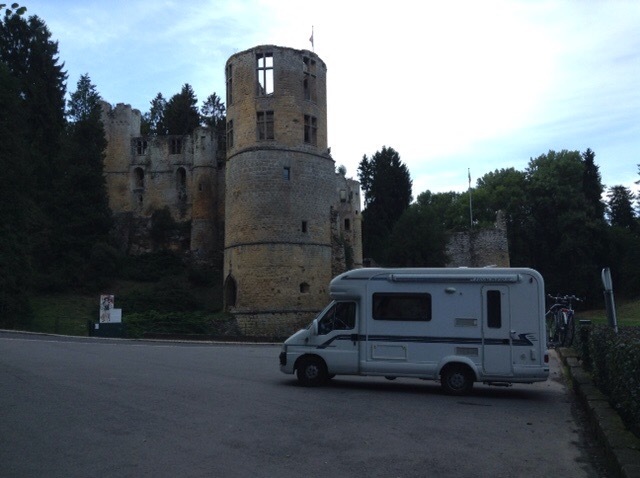 We decided to overnight outside this charming as well as imposing medieval chateau, Beaufort. We even had a brief, and somewhat distant lightning storm thrown in for good atmospheric measure! I do have to contend with various anxieties, but thankfully thunderstorms is not one of them! I suspect I may have my dad to thank for that, as I recall he reassured me as a child that there was no need to be fearful of them. I remember one night in particular where he sat with me in my bedroom overlooking the sea that I shared with my sister, the flashes of lightening streaking across the water. As a child I was rather afraid of the dark, and so I suspect had the curtains wide open for that reason, as well as the weather being close, and so witnessed visually as well as audibly the unfolding drama. Had a decent night’s sleep, with brief awakening, but no major panics as we’d purposely left the roof blind wide open, as well as making sure ventilation was as good as possible. Michael had an uninterrupted sleep! This morning we’ve been sat relaxing on board and aim to visit this castle that had allowed us a free night sleep beneath it! From here we’ll be heading towards Trier in Germany to start our Rhinelands tour. It’s been good to have a little taster of Belgium and Luxembourg en-route! 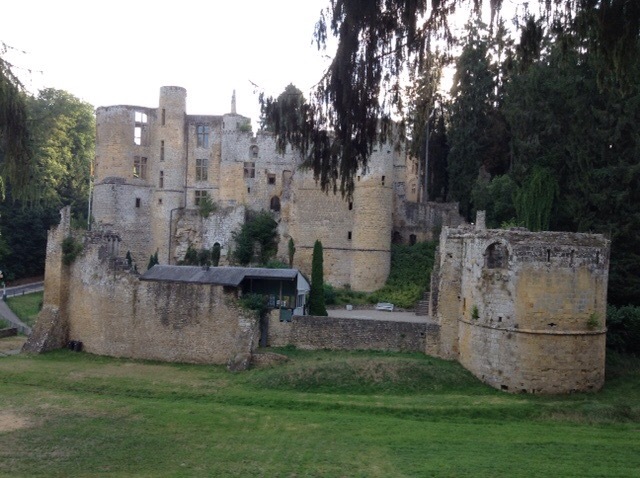 Sounds like you are having fun, We will be touring Chateau Beuvelande at the week end so really looking forward to that. Is this message private? Can all your followers see it? Job is continuing to go well and my boss is taking an idea I have and putting it to the dragons den at work to bid for funding to create a compliance system. I can’t believe I will be starting my 4th week on Monday. It wont be long before we will be on our travels which we hope you may be able to join us. Tanya working to night so getting an early night. I have signed up to the blog so keep the camera going and the updates coming through. Loooking forward to the next update. Thanks for your comments, which in fact are public, so you might want to email us if necessary. I get to “approve” all comments, so if you like I can always not approve your message. All going well here thanks. So as not to over-face the blog followers with too much info, we schedule the blogs daily and so this means there is a lag with the blog of several days. 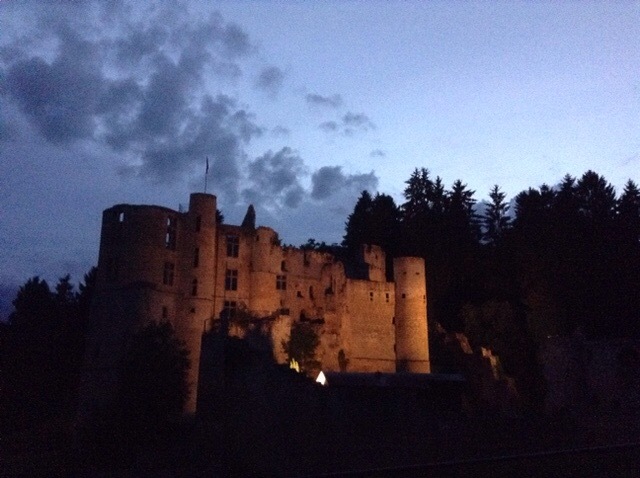 In fact we’re already deep into Germany by now, but I wouldn’t want to give too much away! Looking forward to a day in one of Europe’s largest Medieval towns tomorrow. The bikes may even come out!